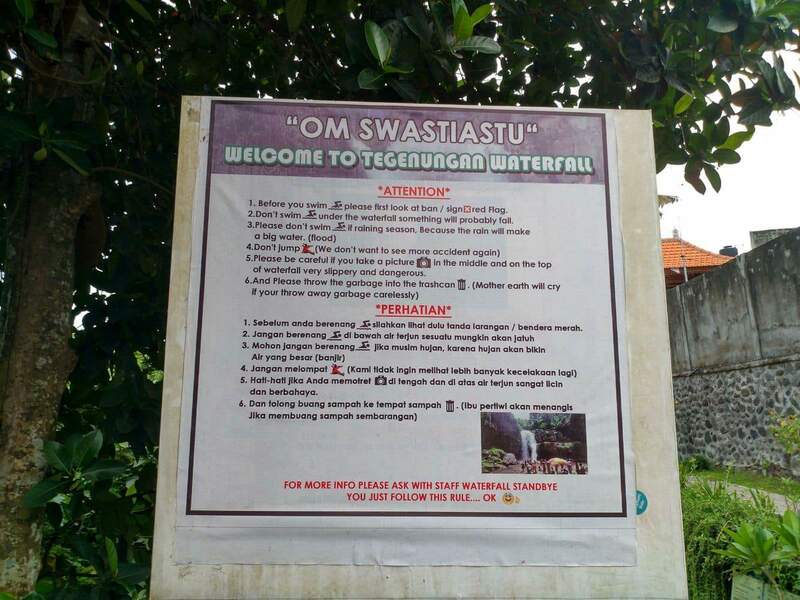 Tegenungan Waterfall is a popular tourist attraction located near Ubud in the centre of Bali Island. 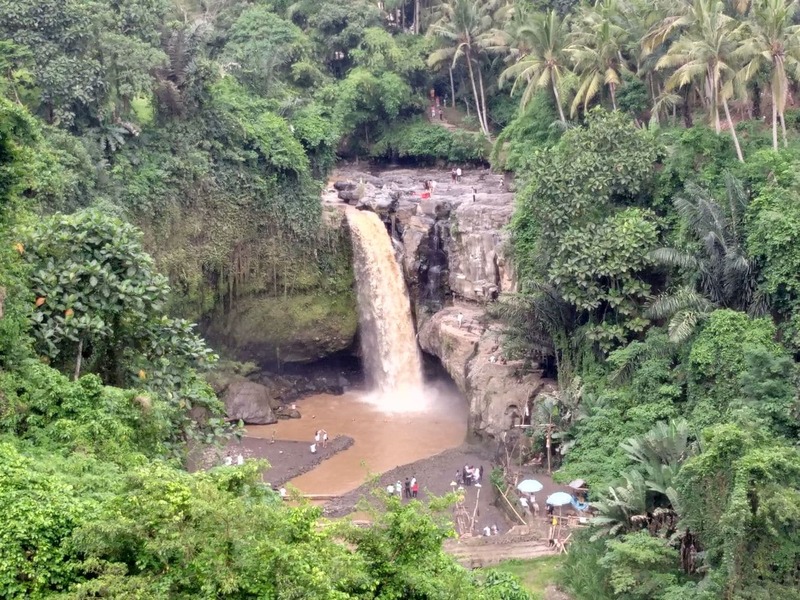 Away from the pristine beaches and surfing hotspots, Bali has some of the most splendid waterfalls. As they are generally away from the tourist hot spots along the beach, they tend to attract very little crowds. 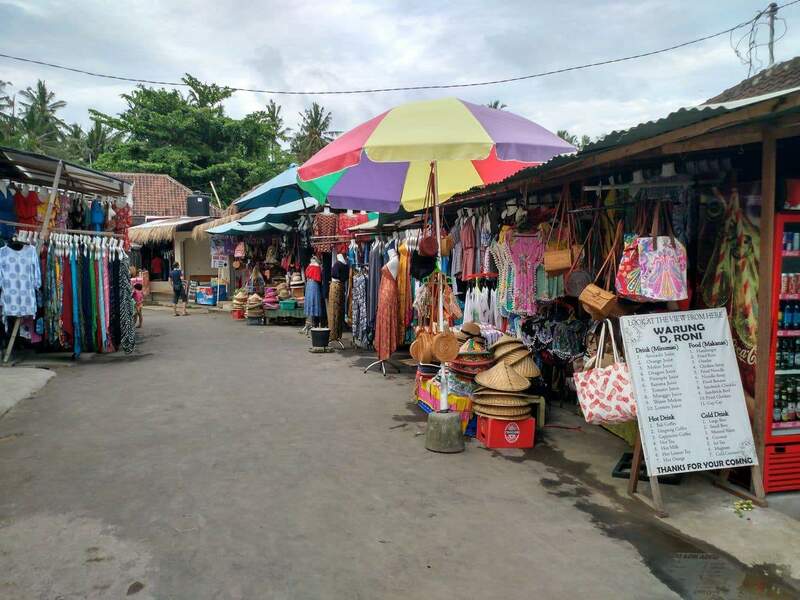 The waterfalls are located in Tegunungan Village, about 5kms from Ubud’s centre. 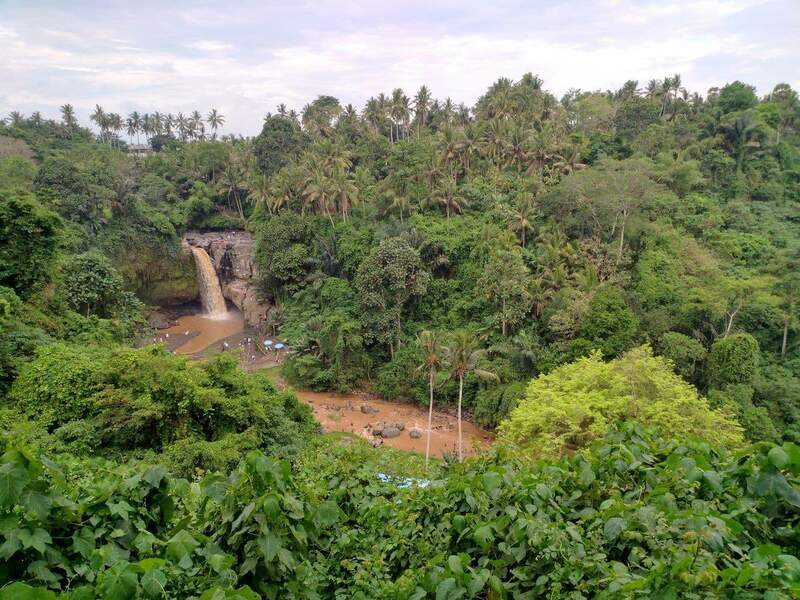 Interestingly, this is the only waterfall in Bali that does not lie in proximity to a mountain or a range of hills. 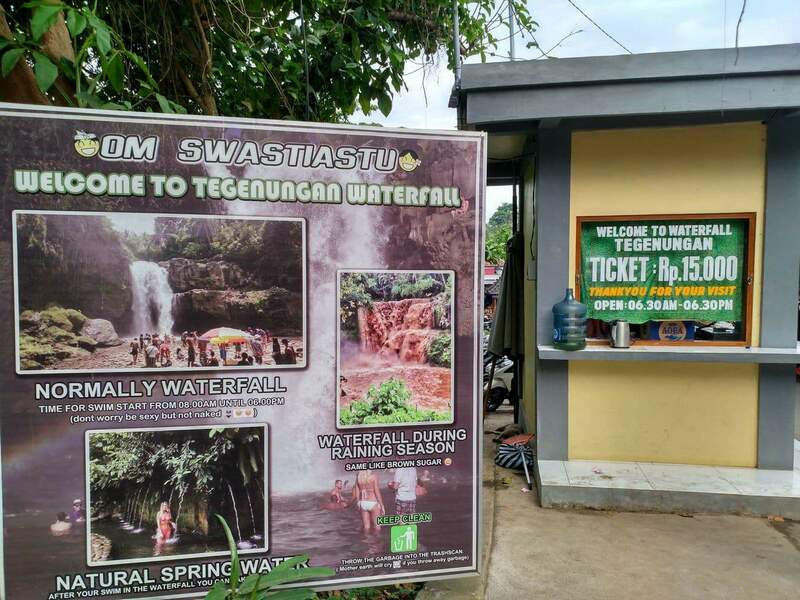 On arrival at Tegenungan Waterfall, you will need to descend about 100 steps before coming to the River Tukad Petanu, but the walk is not far at only around 1km. It is not unusual to find locals taking baths at the numerous pools that surround the waterfalls. This water is drawn from the abundant natural springs close to the falls. You could join in and enjoy a lazy afternoon bath to soak in the beauty of the grand waterfalls. After your swim, you can use the showers that are located on site and there is a little cafe and toilets for your use. 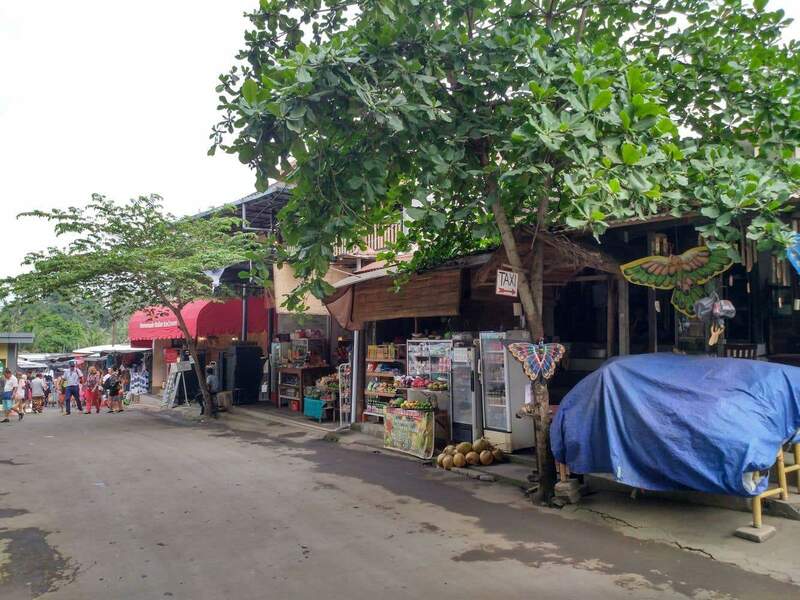 Some of the other amenities available on location at the Tegenungan Waterfall include ample parking space, food stalls and vendors selling snacks and drinks. 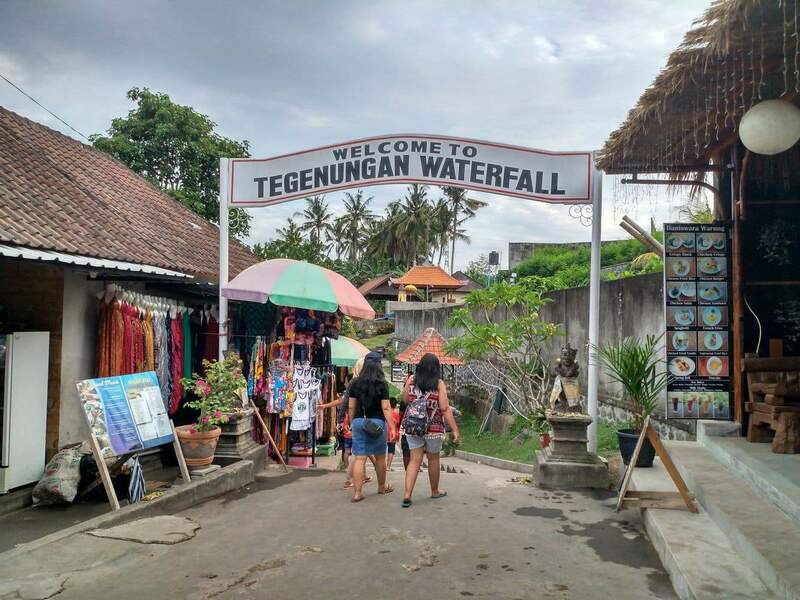 The entrance fee is 10,000 IDR and sometimes visitors will be charged another 10,000 IDR to view the falls from the top.